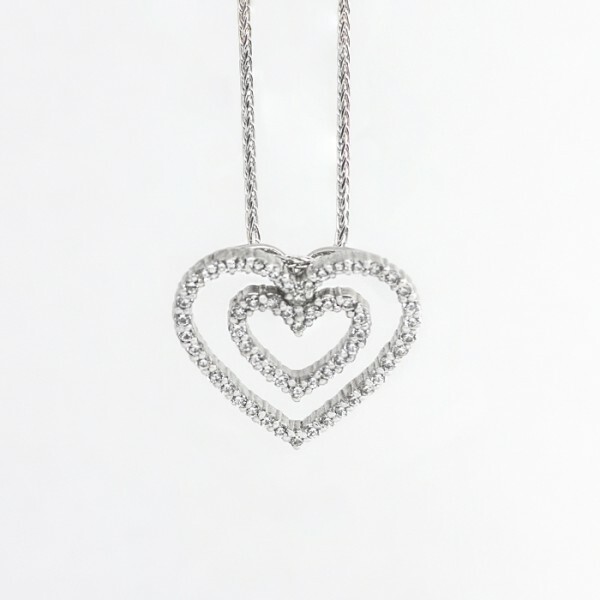 Heart & Soul - 14k White Gold was added to your cart. 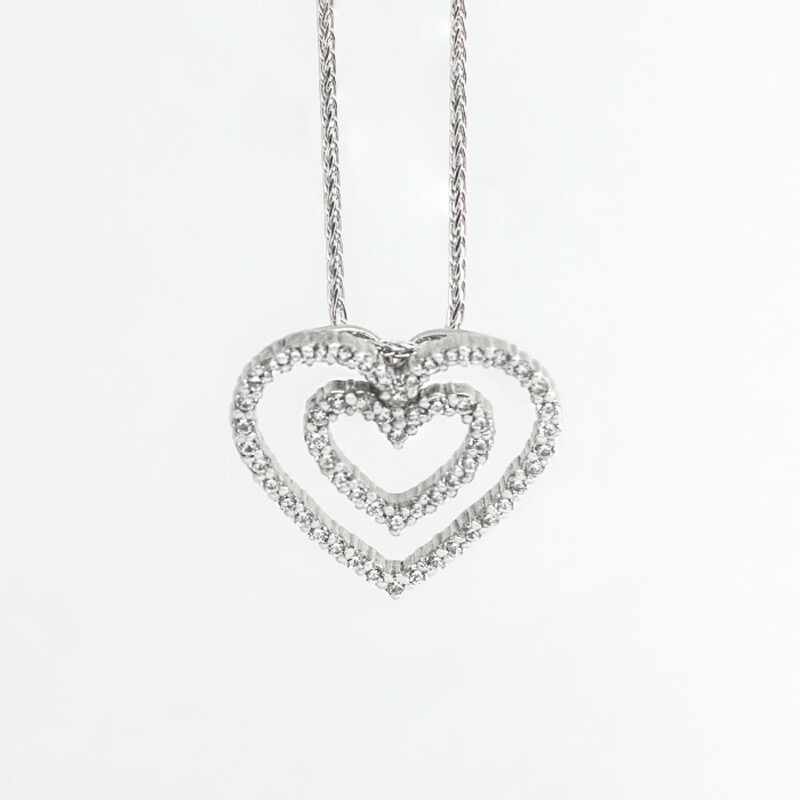 58 diamond simulants form this double-heart shaped pendant, symbolic of two hearts beating as one, in a touching representation of mutual love. The total weight of .87 carats showcased in this design is sure to enchant from the first glance.